If you want to become a wild beast then these contact lenses are something you need. ColourVue Sclera Shadowcat 22mm will turn you into a deadly animal in no time, so order them now! 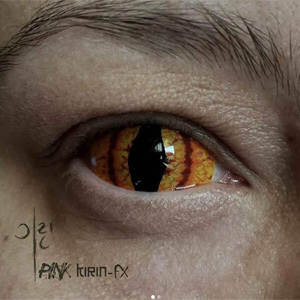 These semi-professional large diameter contact lenses are a perfect accessory for crazy photo shoot as well as a movie set. The wild cat's eye pattern looks very convincing and can be appreciated also in dragon or alien themed costumes. ColourVue Sclera Shadowcat 22mm contact lenses will give you a stunning look regardless of the occasion and outfit, so try them out now!